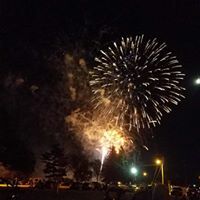 For three years now we have been able to finish our event with a bang with Spielbauer Fireworks! Everyone loves fireworks and that includes our committee. We will do our best to provide fireworks every year that we can. The nice thing is we fire them off right at dusk, so you don’t need to wait until 9:30 for the action to begin! 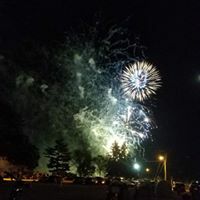 Spielbauer Fireworks embraces the advancements made in the fireworks industry assuring our clients receive the latest innovative products, methods, and equipment. We want to provide only the best for you. We have established an excellent reputation in the fireworks industry and are proud of it. Clint Spielbauer founded the company in 1948 and incorporated the business in 1953. Clint’s son, Paul, followed and his sons, Cory and Patrick, run the company today. Each generation has learned to value hard work and we strive to maintain our reputation of being honest and fair.